Rental Home Insurance Quote, Great Rates! Your standard dwelling fire policy offers protection for your home and other permanent structures on your property for the following perils. A dwelling fire policy is similiar toa homeowners insurance policy. A person who owns a house and lives in that house would have a homeowners insurance policy on the residence. A person who owns a house, but, rents it out to someone else would have a dwelling fire policy on the residence. Dwelling fire policies are often slightly more expensive than a homeowners policy because there is a renter, not the owner, living in the home. Actual Cash Value Coverage for Total Losses. If the home or other structures are ever destroyed or damaged due to a covered loss, we will pay the Actual Cash Value for the loss. Repair Cost Coverage for Partial Losses. Most losses are partial - which means, the home has sustained some damage due to a covered loss, and needs repair. We'll pay the cost to repair the damage, unless that cost exceeds the actual cash value of the property. In those rare cases, we will pay the actual cash value for the loss. Coverage for Other Structures. The policy protects detached garages and sheds on your property against loss, too - at 10% of the overall dwelling coverage limit. Just like with the home, the loss that caused damage to the other structure must be one of the perils listed on the policy. Personal Property Coverage. This optional coverage helps protect the homeowner's personal property against damage caused by named perils. Fire Department Service Charge Coverage. If the fire department needs to come to the home, the homeowner may be billed for the trip they make. Our policy pays for the charge, up to $500. Reasonable Repair Coverage. Sometimes, homeowners need to make immediate repairs to the home to guard against additional damage. For instance, you may need to cover your roof if a windstorm blows part of it away. Our policy reimburses policyholders for reasonable repair expenses incurred to protect your home against further damage. Vandalism and Malicious Mischief. Optional coverage that protects against this type of damage. that happen to other people while they are on the insured property. that are caused by the customer's own negligence when away from the insured property. 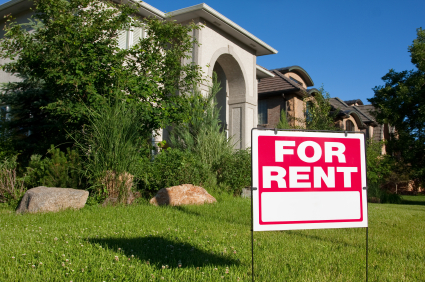 Premises Liability for Rental Homes. This optional coverage is important for our customers who rent out their homes to others. It protects the customer if they are held liable for accidents that happen to other people while they are on the insured property. Burglary coverage. Optional coverage that protects the home and personal belongings for their actual cash value, if someone forces entry into the home. This coverage is not available in all states, ask your agent for details. Let the The Crow Insurance Agency, help you choose a policy that will fit your individual needs. Protecting your assets, whether personal, business, or both, is our goal. A well-chosen policy can lessen the impact of some of life’s most common, yet unforeseen perils. We’re here to help when you are considering purchasing this insurance from us.